First, it has a classic form that will never go out of style. Second, I find the shape to be very versatile; a lot of different style furniture pieces will work well with the English roll arm. Third, the comfort factor! The sofa slopes back slightly so you can easily sink into it and never want to get up; therefore I dub this the perfect napping sofa. The depth of an English roll arm ranges from 40 inches to 46 inches depending on the style. 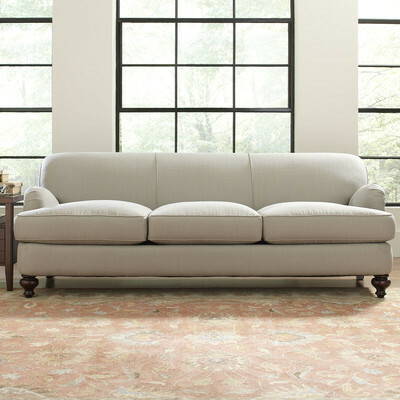 Forth, The petite rolled arms and tight backrest are chic characteristics that I love so much! The tight backrest means no more fluffing the back cushions and that's a win for me! Last but not least it has legs! Legs on furniture can lighten up a room and make it breathe a bit. Depending on your style you can get turned legs, casters or straight legs. Here are the questions you should ask yourself when buying a sofa online. Next to each question is my answer. 3. What size sofa/how will it be used? A long and deep sofa. Plenty of space for 3-4 people to sit or lounge while watching television, and long enough to stretch out for a nap. After answering these questions it was time to pull my options together with inspirational photos. Finding Inspiration is fun; this is where you can let your imagination run wild! Magazines, Pinterest and Houzz are great sources for finding inspiration. Clip your favorite pictures of sofas from magazines and put them in a binder. When you are ready to shop you can use those pictures as reference. Or if you have a Pinterest account set up a SOFA board and pin your favorites. 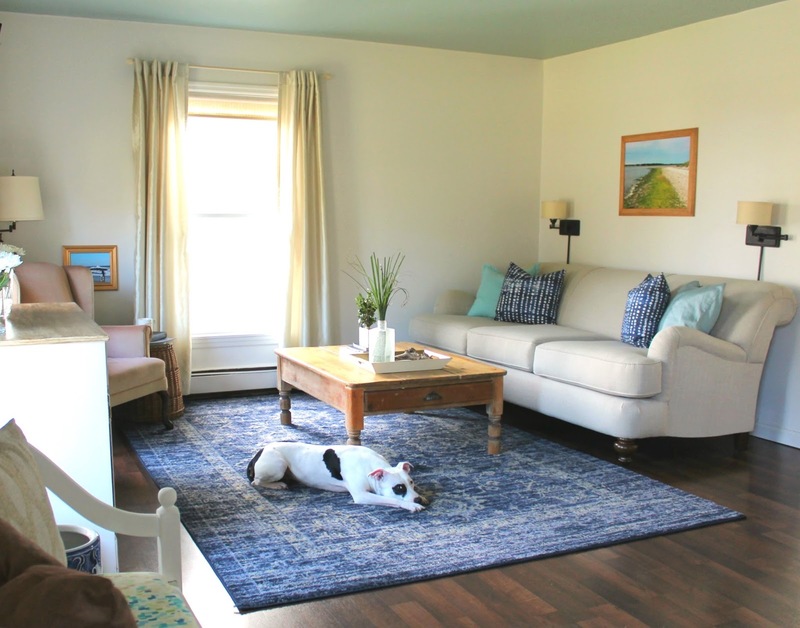 Search for rooms on Houzz and save them to your ideabook. All of these options will help you determine your style. As I began to look for ideas it was apparent that the roll arm was for me! 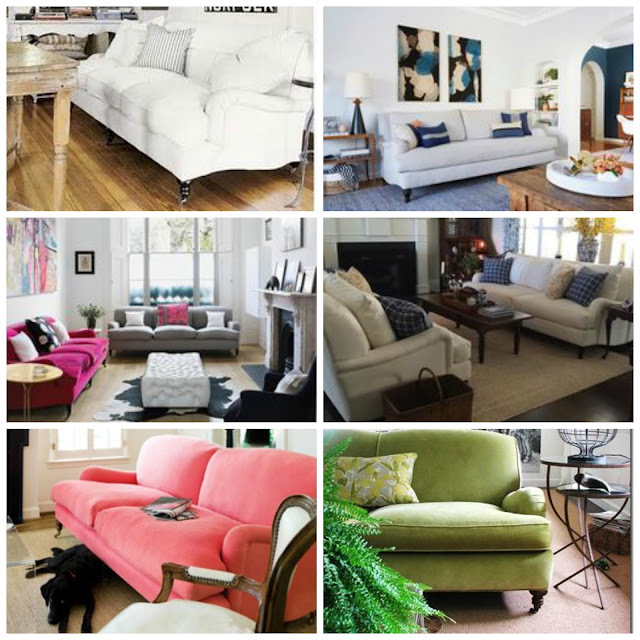 Narrowing it down to my favorite style was challenging because there are so many sofa styles out there. Even the English roll arm has its own variations of style as you can see from the inspiration photos below. 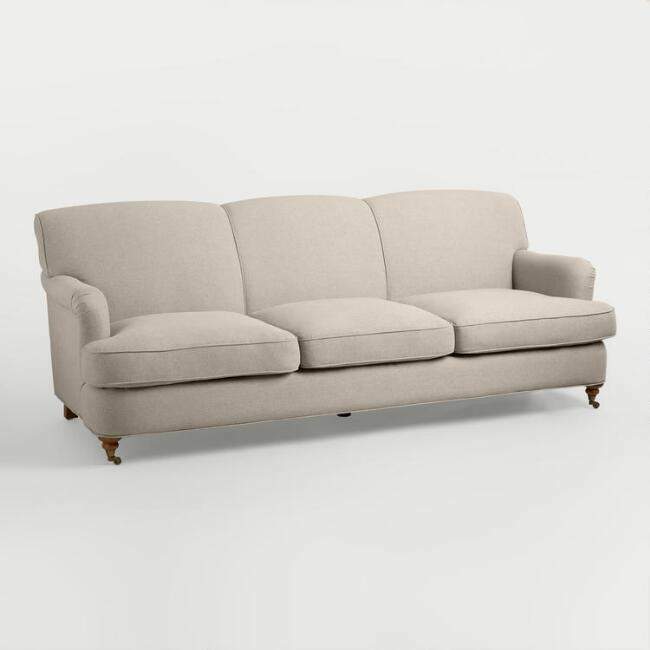 My ideal sofa should have a tight backrest, three seat cushions, casters, long seat bench minimum 90", extra deep seating and choice of fabric and color. Whew, that's a huge request. At first, I thought my ideal sofa was unattainable in my price range until I researched online and found some great options. So Pretty!! I love the casters and the color of the legs, it also has a mid-century modern feel. I also love that it has a tight backrest. What I don't love is it is only 33" deep and 82" wide the fabric is linen, not a good choice if you have pets like we do. Again I love the color of the legs and the casters! I love the fabric color, and it has three seat cushions and a tight backrest, but it is not deep enough or as long as I want. Love this one! It comes in different fabric colors, has the three seat cushions and the tight backrest. The downside is; I really wanted casters and the size is too large for my space. This beauty is huge! It measures 37" H x 94"w x 44"D. It would never fit through my front door because I believe the legs are stationary. 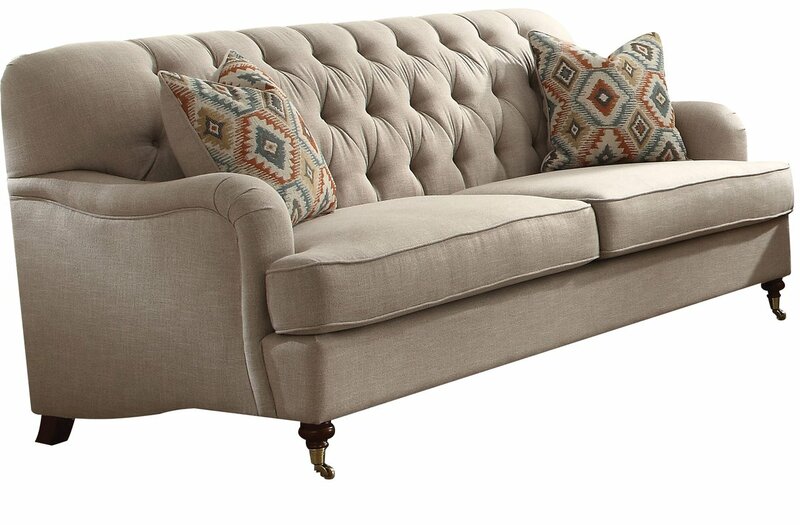 I love the tufted backrest and the casters. It only comes in this color which is fine with me because I really like it, but again only two seat cushions and not long or deep enough. This sofa measures 37" H x 85" W x 38" D.
Love the cottage charm and the light color turned legs. It has two seat cushions, I was looking for three and it doesn't have the tight backrest I was looking for or casters. Also, it only comes in one color and fabric. This one has the three seat cushions and the tight backrest. The size is perfect for my space it measures 36" H x 92" W x 46" D. The legs are removable so it will fit through my front door. I can customize it with my choice of fabric and fabric color. The only downside it doesn't have casters but I do like the turned legs. So which one did I go for? 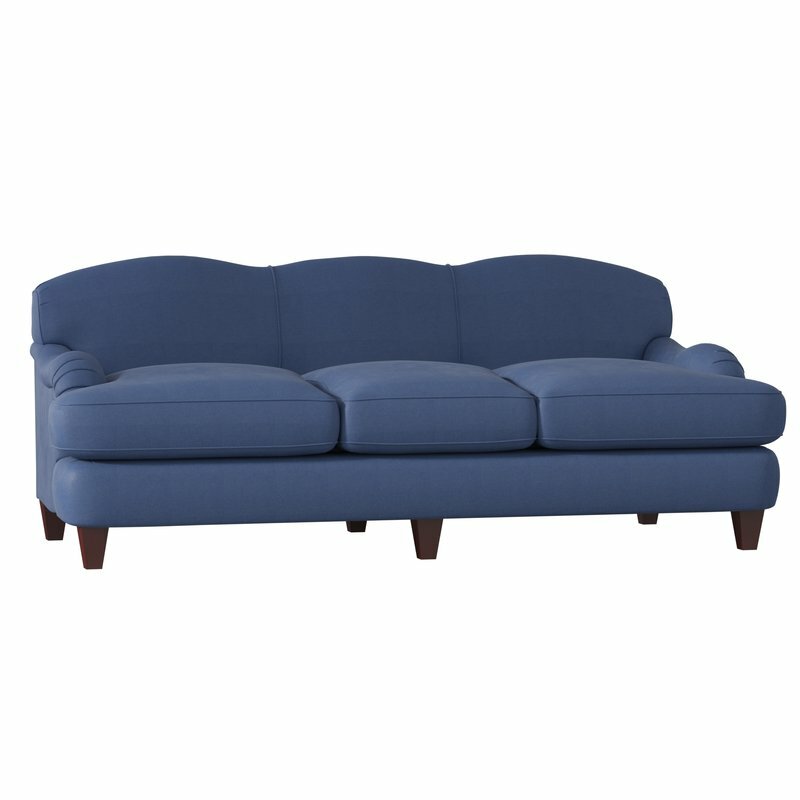 The sofa I purchased is the Durham sofa. It met all my criteria and it was love at first sight! Even though I wanted casters I do like the turned legs. I picked out my fabric samples and they were mailed to me free of charge. 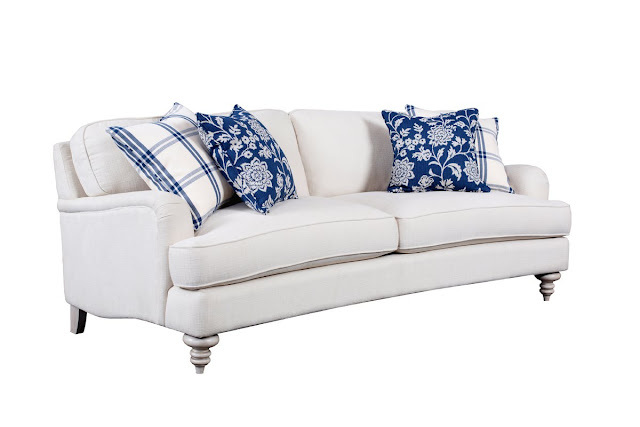 Choosing the right sofa is not easy, let alone picking out the fabric. I highly recommend ordering fabric samples because they look so much different in person than online. The fabric I picked is Hilo Flax. It's a soft beige with a woven texture. This sofa is extra deep and so comfortable. I love it! I purchased my sofa last year when I took on the challenge to makeover our living/family room. 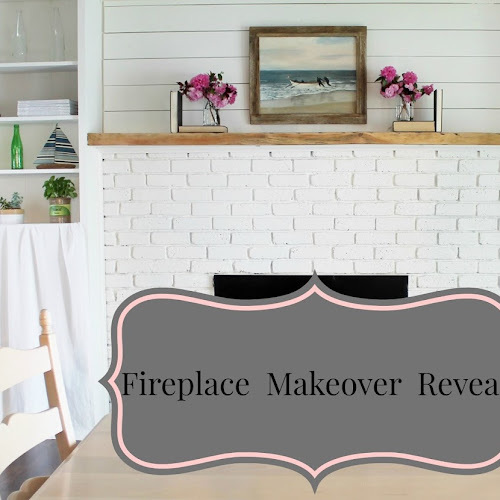 You can read about the makeover and see the before and after pictures HERE.